Joshua Ng's Thought Fragments on What I hope to learn in CS3216 (again)? joshuatj on How to Remove Icon Badge Notifications / Count Bubbles? kcohenour on How to Remove Icon Badge Notifications / Count Bubbles? Today’s guest lecturer is Er Chiang Kai – Prof. Ben’s classmate back in MIT, Software Engineering – Senior Manager. IBM Singapore Software Laboratory. Security only as good as weakest point. I like the analogy of the home where it has the most sophisticated security system but one window is left open. GG. Singapore has no Privacy LAW! Woohoo… the big boss can do anything to us, woohoo! All in all, the PPT is gonna go into joshuatj-gold-archive, it’ll be really useful in the near future. 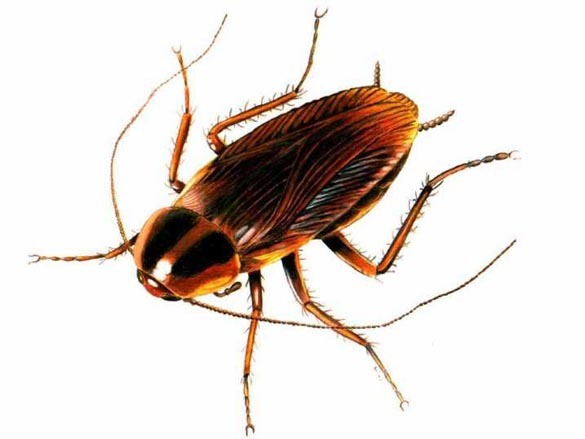 the spirit of cockroaches – they do not die! Hoong An mention that he’d rather hire someone who is very good at doing what he does best rather than someone who he can get along pretty well. First of all, of course the best scenario is to have someone whom you can get along pretty well and he’s has very good technical skills. But taking this hypothetical situation, Hong Anh’s decision is to hire the more talented one. In this I have to disagree. For what it’s worth, if I really have to choose between the two, I’d rather work with people who I can get along well. I truly believe in the synergy effect. So does my father. The time and effort trying to convince a talented person who doesn’t believe in your vision might be better spend at tackling the business hurdles that’s ahead. But maybe this principle of mine doesn’t really apply for a profit-maximizing business. But Social Business? It takes a passionate person to want to do social business. Hoong An’s reasoning is that having a faith or believing in God can really pull you through the toughest time. I think God aside, it’s important to always believe in something bigger than ourselves. I think it’s an acquired-skill for a person to think that the world doesn’t revolve around him. Thanks to human arrogance. Oh ya, I happen to be the official videographer for the night. The videos are in progress hang on… Most likely it’ll be uploaded to the CS3216 Facebook Group once it’s done. Received these link from my dad. Apparently it was forwarded to him with a message to pass it along to friends, children, friend’s children, nephews, niece, students. The emails was signed off by a DR J ALFRED. I’ve gone through all of the links and modified accordingly. I’ve even flagged those that are not working. If you have a working link for that particular program/scholarship, please let me know @ the comments section. Thank you. Apparently there’s this website http://www.malaysia-scholarship.com/ Time has changed, if only this website exist back when I just got my SPM/STPM results. Photo360 – Toa Payoh Sports Hall (Bubble Tea). So Ban, YiWen and I am taking part in this competition http://tinyurl.com/photo360. Our team is called “Bubble Tea” because we love bubble tea! Then, please vote by “starring” the synth. By the way, PhotoSynth is free to use. You all should try, it’s quite cool. walah… this is the most technical lecture ever… totally lost. I think the jargons are the culprit. Database locking? mod_perl? CGI? DTrace @@? ACK? Nagle? NAS? Even TCP = Transmisison Control Protocol, in which I know the name, but I don’t think I know how it really works. 3. the important “/” – prevent the browser from fetching twice! 4. Load Balancer = delegation of power. Load Balance server = front line minions. It just mean that there are so many more things to learn. ESP turn Master in CS? Posted on March 16, 2010 December 28, 2011 Categories CS3216, CS3216 (2010)3 Comments on can scale? Aha.. thanks to the WPBook plugin, now my blog and my Facebook share the same comments. Comments that was entered in Facebook will appear in my joshuatj.com blog and vice-versa. Most importantly, every new updates (like this one) will be automatically stream.publish into my Facebook Wall. Subsequently appearing in all my friends’ feed as well. Ya, I know Facebook Notes is able to “Import a Blog” through RSS. But it’s actually a duplicate copy of the same blog post back @ joshuatj.com . Thus, it’s not elegant. Now the next step is to spice up my Facebook i.am. mirrored-blog. Interestingly how WPbook does all these is through some magic using Facebook Connect + Facebook Application. Thank God I’ve had some experience meddling with Facebook Connect + Application. CS3216 is really empowering me lar! If you’re interested, check out the WPBook plugins page https://www.openparenthesis.org/code/wp “Bring your WP blog to Facebook”! Being a Prof isn’t easy indeed. Even in a small class of 41 people, the responses cover a whole range of sentiments, good, bad and neutral. It reminds me of EusoffWorks, where we have to ensure 130+ people are happy and they’re learning, with so many different fields, photo, video, design, IT, Digital Media Management. resonates… resonates… wooong wooong ….. Personally, I think the Wave assignment is really exciting and loads of opportunities when you immerse in the bleeding edge! Pamela Fox from Google Sydney reviewed our Google Wave assignments. 1. it should be playable by one user as well as many users. 2. command line type user interface is a NO-NO..
4. clear instructions on how to use the app. Legends to show what is what. The LIVE video conference is quite laggy and honestly it’s quite a turn off. But problem = opportunity, I guess that means opportunity in this field!